Carnage at Kasumbalesa: What PF Government Should Do To Stop the Bloodshed | Elias Munshya, LL.M, MBA, M.DIV. On Wednesday, 11 April 2007 President Levy Mwanawasa fired one of his most influential cabinet ministers. According to Levy, Vernon Johnson Mwaanga (VJ) had seriously misconducted himself when he was sent as a special envoy to the Democratic Republic of Congo (DRC). Whatever happened that Wednesday morning remains relevant today. But it is only useful if we can learn its lessons and be taught by its history. Unfortunately, the Zambian government is a pathetic student of history. It does seem that every President gets so blindsided by good “milile” at State House that they seldom learn from lessons eloquently taught by history. There is now a crisis at Kasumbalesa. Bandits in the Congo have killed two SADC and Zambian drivers in a period of three weeks. Some reports suggest the Congolese security forces are responsible. This has obviously sent President Sata’s government into overdrive trying to respond. On his famed Facebook page, President Sata has posted that he is acting on this crisis. Unfortunately, the President or his handlers have blocked me from their page. It seems President Sata really wants to communicate using Facebook, but it must be one-way communication: from him to the world, and everyone else must shut up. In the Facebook post about Congo, he has a picture with his DRC counterpart Joseph Kabila. It does seem to be an innocuous picture; a Zambian president in the photograph with his Congolese colleague promising that he is going to address the shootings at Kasumbalesa. However, it seems to me that the same mistake Mwanawasa made in 2007 about the Congolese crisis is the same one Michael Sata is potentially making here. But this should be avoided now. It is 2014 after all. 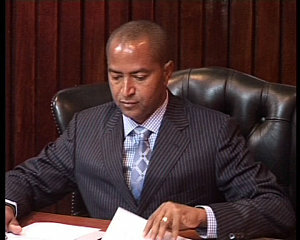 In 2007, Katanga Governor Moise Katumbi had decided to create a crisis and closed the Kasumbalesa border. No trucks were allowed in or out of that country. This crisis lasted several weeks. To resolve this, Mwanawasa sent an envoy to Kinshasa. Flying on a government plane, envoy VJ Mwaanga was sent to meet with President Kabila. However, after meeting Kabila in Kinshasa, Mwaanga decided to pass through Lubumbashi and meet with Katanga Governor Moise Katumbi too. I am not privy to how Mwaanga decided that it would be beneficial to divert this government plane to Lubumbashi. But being a diplomat that he is, he had an insight into the Congolese situation that Mwanawasa had deliberately chosen to ignore. Mwaanga understood internal Congolese dynamics to recognize that a trip to Kinshasa would by itself not resolve any problem at Kasumbalesa. Mwaanga risked his job to go and talk with Katumbi to resolve the problem. Within days, the border had reopened and the problem had been fixed. But VJ’s decision to meet Katumbi did not seat well with Mwanawasa, hence the embarrassing sacking. For some reason, Mwanawasa did not like Katumbi and accused him of being part of Chiluba’s matrix of plunder. With Katumbi being an accused thief, Mwanawasa felt that he was completely irrelevant to resolving this 2007 Kasumbalesa crisis. This was a huge mistake. In his mind, I think, Mwanawasa conflated the Zambian political system with the Congo and erroneously presumed that Kasumbalesa can be stabilized by a simple command from General Kabila. But things in the Congo do not work like they do in Zambia. The Congo is not one integrated country falling under the command of Kinshasa. In fact, Kabila depends upon the political patronage of a disparate cadre of semi-autonomous provincial governors. In actual devolution of power, a provincial governor such as Katumbi holds a lot of power to dictate security policy in their jurisdiction. Obviously, Vernon Mwaanga knew this reality but his boss, at the time, Levy Mwanawasa either did not know this or deliberately chose to ignore it. This is itself surprising since Jack Kalala, a diplomat with impeccable insight into Congo, was one of Mwanawasa’s top confidantes. Additionally, Mwanawasa as a son of the pedicle should have known the Congolese situation much more intimately. But blindsided by power and by the so called “corruption fight”, Levy decided to put national interest at bay. This further escalated the 2007 Kasumbalesa crisis. However, a few months latter, Mwanawasa learnt it the hard way. He had to curve in and restore some normalcy with Katumbi. He learnt that it was in Zambia’s interest not to declare a Katanga governor as personae non-gratae. Here is the lesson: peace at Kasumbalesa is impossible, without direct involvement of the Katangese government. In order to resolve the 2014 Kasumbalesa crisis, the present PF government should not behave like Mwanawasa. They should engage the Katanga authorities in talks. It is futile to try and deal with Kabila alone. President Kabila does not weld unilateral power over much of his country’s borders. That being the case, it is in the interest of Zambia, that it plays with the Congolese power brokers that have real influence over Kasumbalesa. Mr. Sata taking pictures with Kabila means nothing to the strategic security interest of Zambia, if he does not make the same effort at negotiating with the relevant Katanga authorities. Governor Katumbi can be a very good strategic asset to Zambian interests. But this calls for a selfless president who is willing to forget the past disappointment in dealing with Katumbi. We are aware that Katumbi had supported Rupiah Banda and called opposition leader Sata as “a noisy empty tin”. Interestingly, Katumbi said these words when commissioning the Kasumbalesa Dry Port with the then President of Zambia, Rupiah Banda. But that was then. Sata is now President of our Republic and he should be ready to deal even with people like Katumbi who might have snubbed him in 2011. Indeed if Sata is working with an editor who churned the most vicious insults against him, it should not be difficult to deal with Katumbi who only said “empty tin”. We need to learn from the past. If Mwanawasa refused to acknowledge Katumbi, Sata should act differently. It is in Zambia’s strategic interest to work with Moise Katumbi Chapwe. The Zambian government should consider raising the diplomatic status of the Zambian mission in Lubumbashi. They can request the DRC authorities and position a Zambian diplomat at ambassadorial level there. Zambia shares one of the world’s longest undefended borders with the Congo DR and with that the Province of Katanga. The peoples of the pedicle intermingle between Zambia and Katanga. With the long border come security concerns. It is only logical that the Zambian diplomat at Lubumbashi should have the status to negotiate directly with the Congolese authorities. These authorities are not limited to the Kinshasa government but include the Lubumbashi administration. The Zambian government should also consider having experienced diplomats in Lubumbashi. Naturally, a diplomat in Lubumbashi should be a child of the pedicle. They should come from some tribes of the pedicle that already have some relationship with their tribal counterparts across the border. These include: the Kaonde, Lamba, Lala, or Aushi. In the 1990s Chiluba ensured that such people were appointed to the Zambian mission at Lubumbashi. Both late Lemmy Chipili and Jack Kalala come to mind as those sons of the pedicle with impeccable insight into the Congolese dynamics. They served Zambia very well. With the likes of Chipili or Kalala at Lubumbashi, you will hear very little of all these diplomatic incidences at Kasumbalesa. President Sata should also look at our top diplomat as well. I had hope when Wilbur Simuusa was appointed top diplomat. But his performance has been awful. Wilbur has no diplomatic influence. And it is showing. It certainly showed at the way Zambia was treated at Mandela’s funeral and it shows just how we have lost our diplomatic clout everywhere else including at Kasumbalesa. We can do better. And there is still hope at Kasumbalesa, but the PF government should negotiate with both Kinshasa and Lubumbashi and with both Kabila and Katumbi. 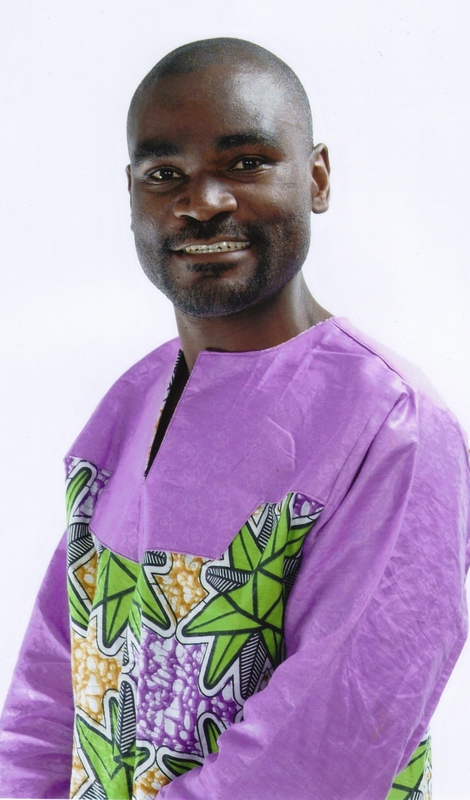 “Munshya wa Munshya on Friday” is published in Zambia’s independent newspaper Daily Nation every week. This article appeared on Friday, 14 February 2014. Reblogged this on MUNGE'S SERVICE & SUPPLY(Z) LIMITED,.